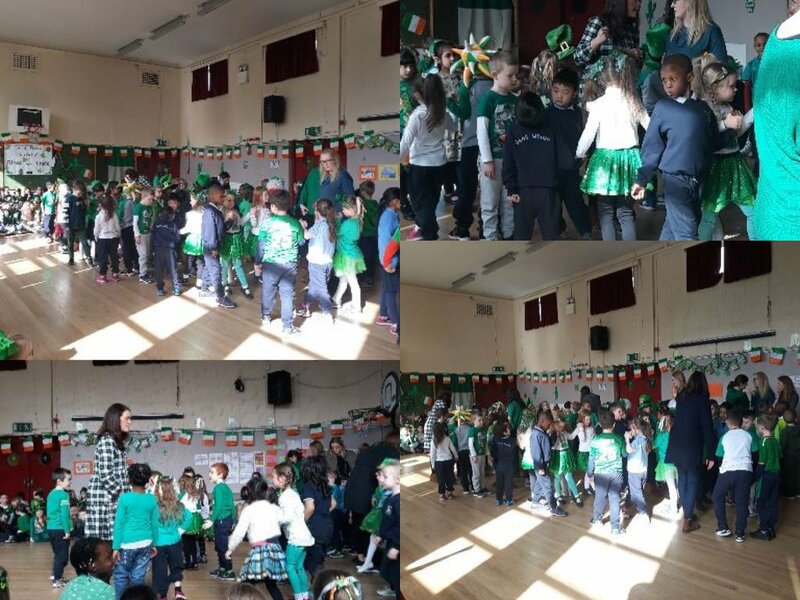 During Seachtaine na Gaeilge, we performed in a 'ceolchoirm' in the school hall. 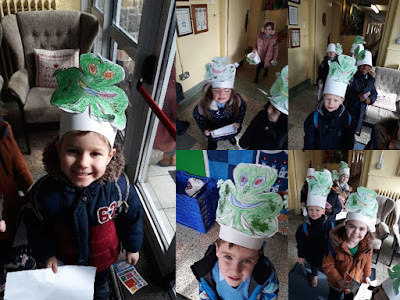 We sang a song called 'Tá Mé i mo Shuí ar an gCathaoir'' and we had special actions for each line. 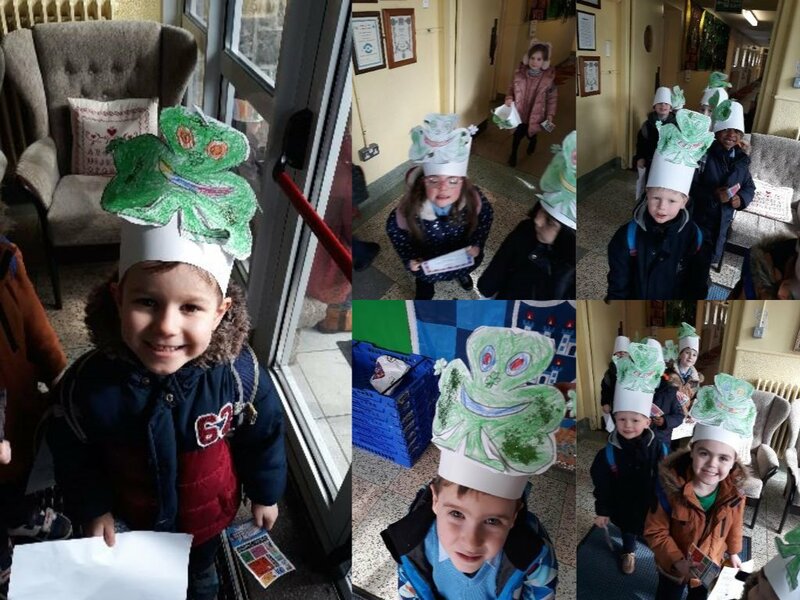 We also performed a rhyme called 'Dhá Éinín Deasa'. We love this rhyme and even recite it in the yard at play time :)The concert was lots of fun and we listened to all the other classes perform to songs and rhymes. 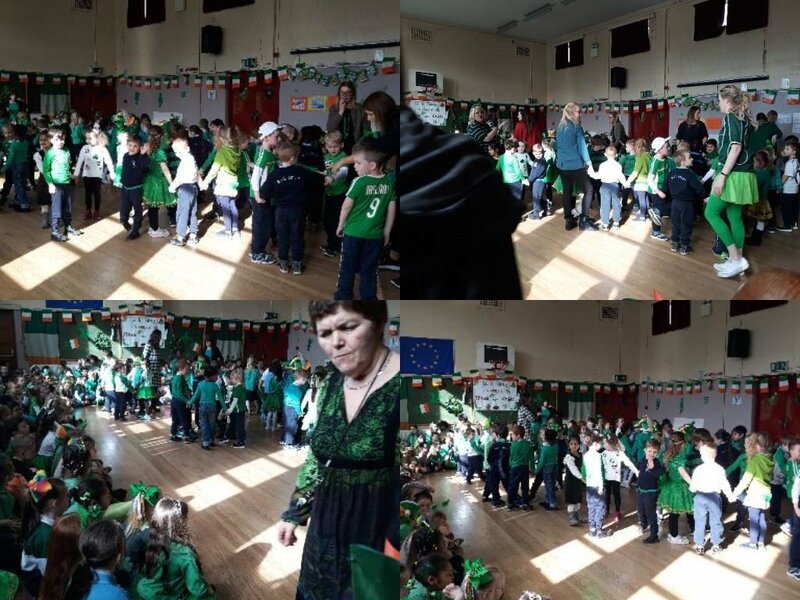 We all sang together at the end to the Irish rugby anthem 'Glaoch na hEireann'.